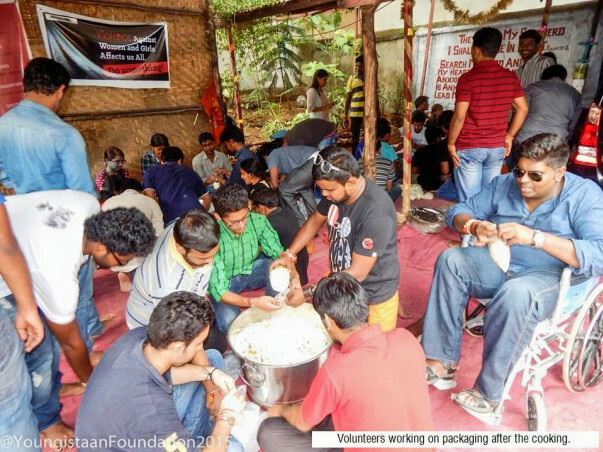 We are one of India’s largest network of volunteers, the Youngistaan Foundation is committed to making a difference in the community by helping those in need. We are a ready platform to launch real change. 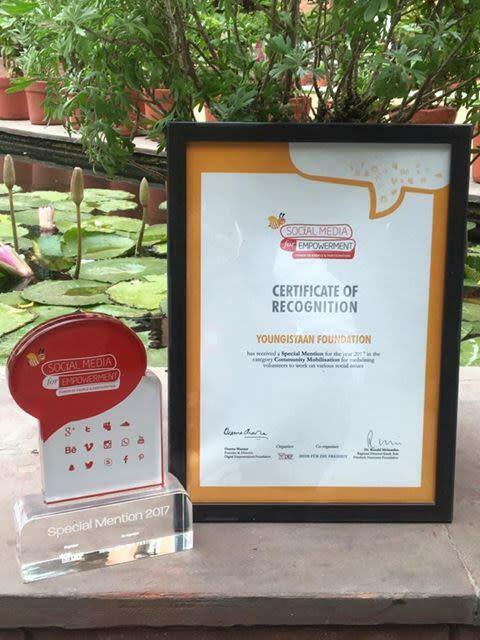 Started in January 2014, Youngistaan, a registered NGO, is fuelled by the desire to change the world by touching one life at a time. We can do this only when ‘You’ make it possible. There are hundreds of volunteers, working tirelessly, in several cities. Our aim is to intervene and empower the disadvantaged. The Feeding Project aims at winning the trust of people who currently face homelessness. Fresh, hot food becomes a way to build a relationship with those living on the streets. 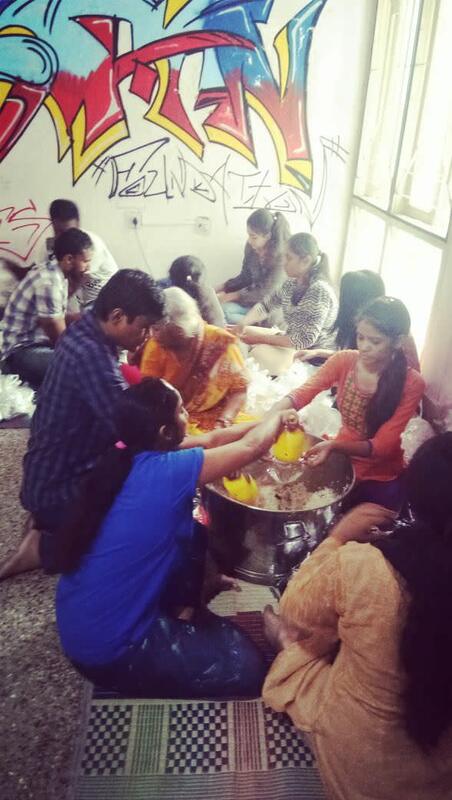 Every Sunday, volunteers come together to cook food for homeless people. 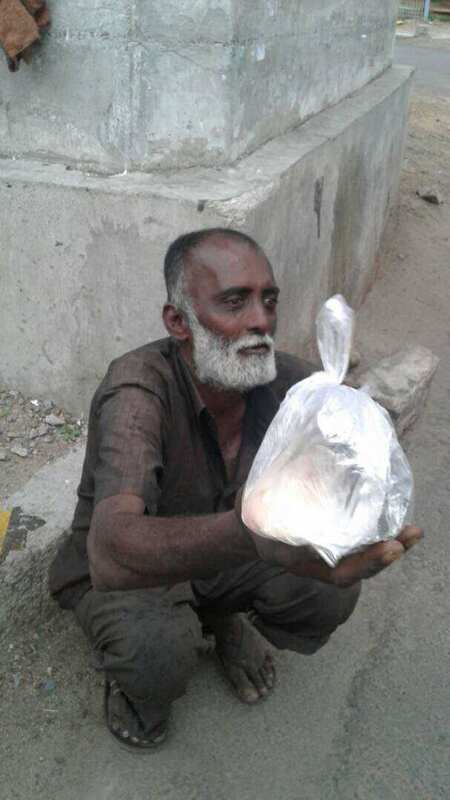 These food packages are then taken to the streets of Hyderabad and Secunderabad. Our Hunger Heroes don’t just carry food but also ready smiles and a compassionate ear. They have a heart-to-heart with those routinely neglected and learn of their troubles. For instance, any urgent medical need is attended to immediately by our doctor-volunteers. Similarly, we try to understand their daily struggles such as personal security, lack of employment, etc. Any interest or aptitude towards a skill is encouraged by our volunteers. We aspire to empower the marginalised by restoring their ability to earn. 2. Cook food and come and help us spread some light. 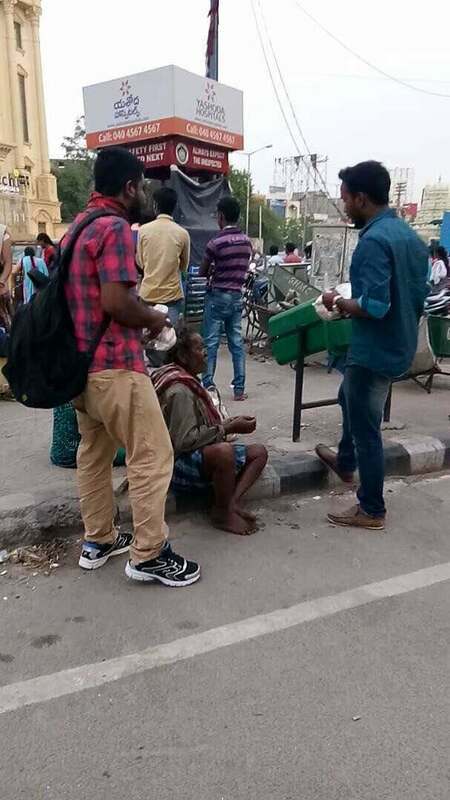 After which volunteers with us to go on the streets and distribute food. Here is an update for you all. 3000 people die out of hunger everyday in India and food worth RS. 50,000 crores is wasted annually. 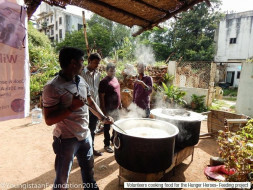 *The Food and nutrition program (Hunger Heroes) and Transformers program at Youngistaan Foundation* work with today's youth to bring these numbers down in order to achieve zero hunger. 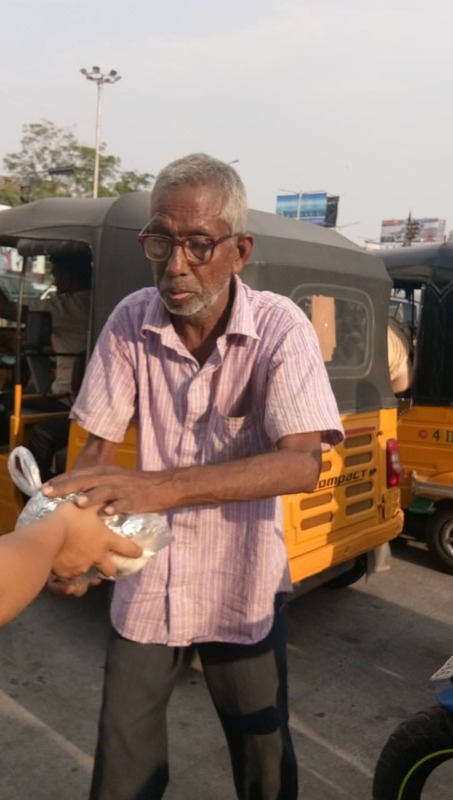 (Sustainable development Goal 2: Zero Hunger).Cooking Fresh Food every Sunday and serving it among more than 3,000 under privileged/ homeless people along with clothes drive is a means of happiness for us. We've fed over 6000 people in last two months- March and April. Apart from the regular food program, we curb Food wastage by collecting the left over fresh food from wedding ceremonies, restaurants and hotels to feed those who struggle to have at least 2 meals/ Day. As a part of our Transformers program, more than 100 lives were transformed. They'll be provided with basic first aid by our team followed by a healthy conversation. With their consent, they'll be shifted to rehabilitation centres/ shelter homes. Through Transformers program we heard many stories from people who were overwhelmed with our love for them. 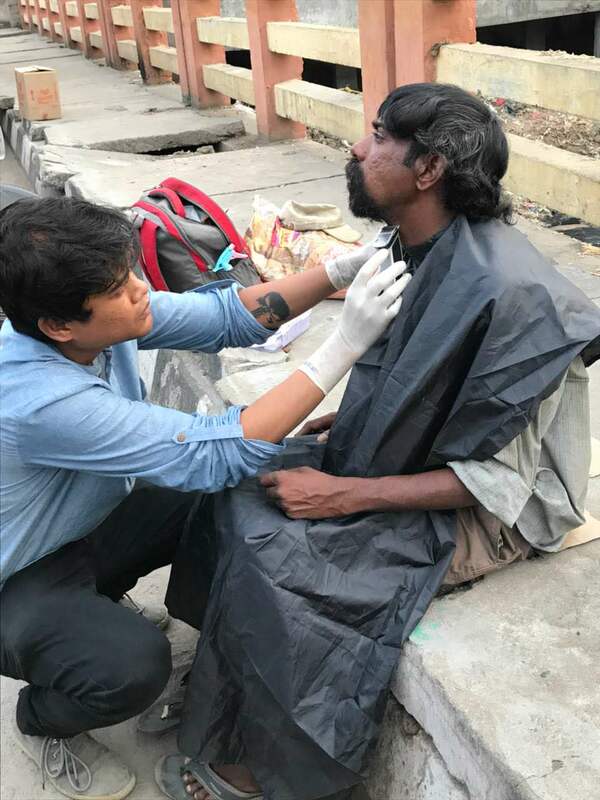 They feel contented when someone walks up to them and starts to have a conversation and care about their lives too. You as a donor, with your kind donation, drive us to make this happen. YOU are their unseen Super Hero's. Your one kind action speaks a lot and changes many lives. 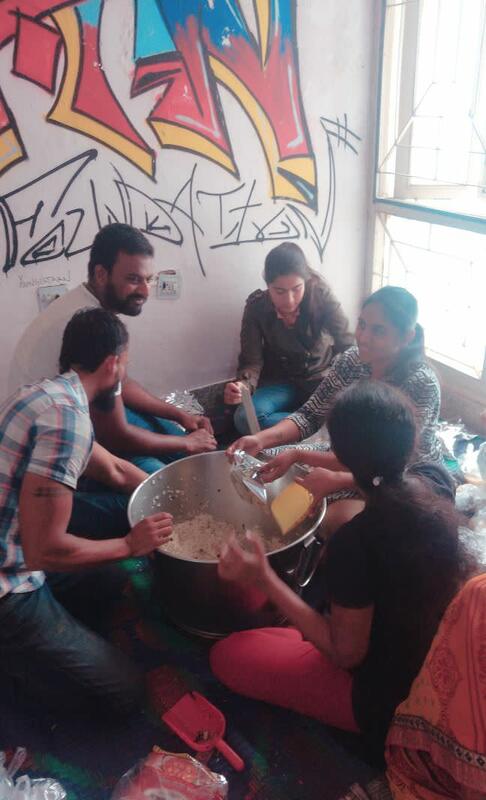 The project is a huge success and they still cook meals once a week and feed the homeless people. 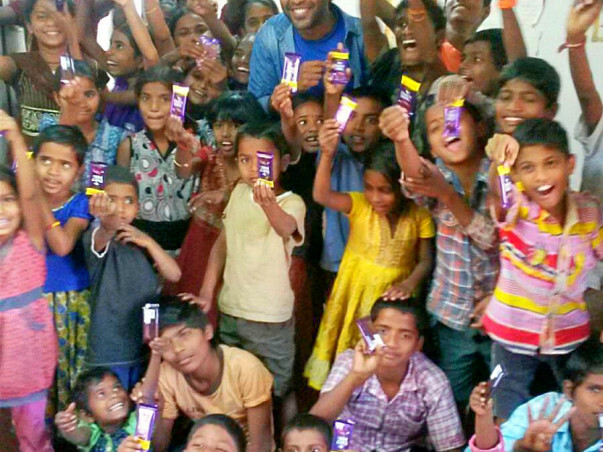 Even now, the smiles on their faces are worth all the hard work. Their future goal is to feed over 1 lakh people in a span of three months. Currently, each meal costs Rs20 per person. This can be achieved only with the help of your support. 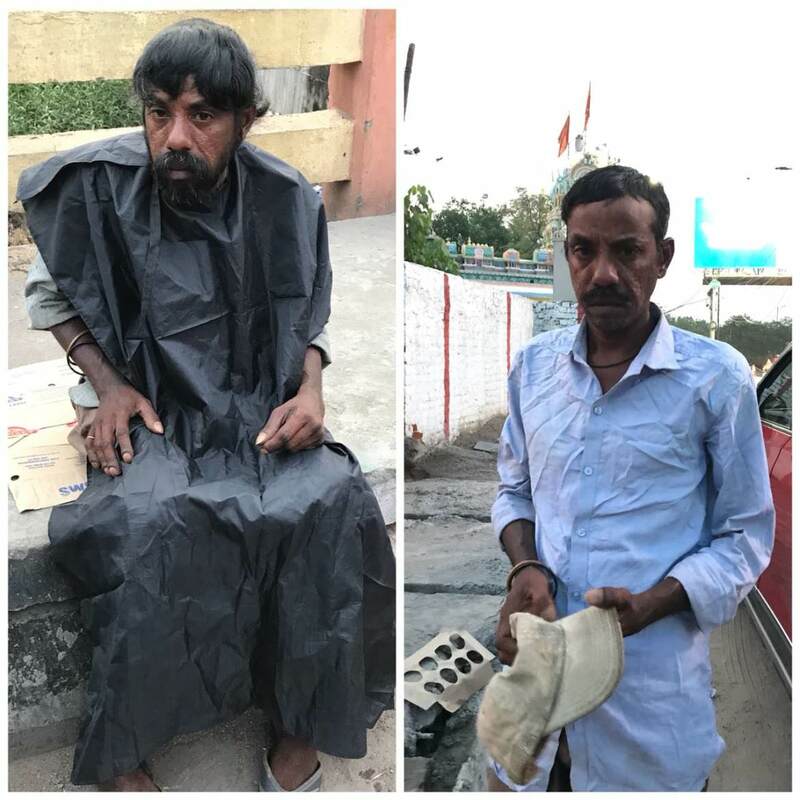 Thank you so much for coming forward to help us. Please keep sharing the campaign with your friends and family. We will keep you posted on the progress. Here are some pictures from the recent food drives. All the credit goes to all the volunteer and donors, this award is dedicated to all your hard work, your passion, your commitment and your heart for the needy. 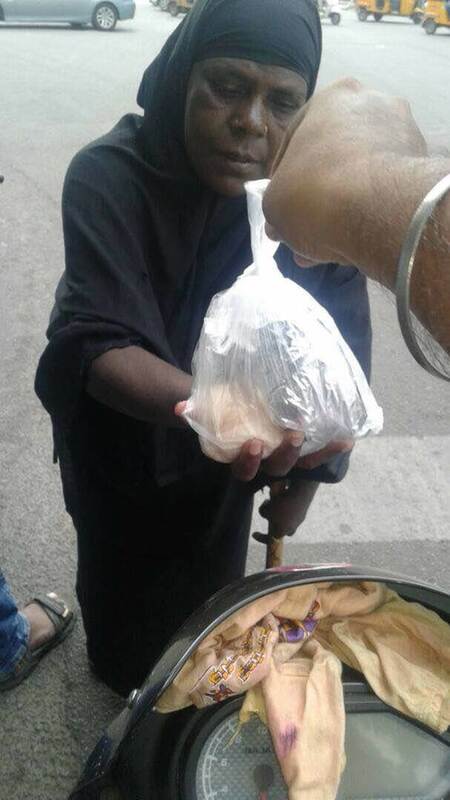 Continue to support and donate as we work harder to help the lesser privileged of the society. You are doing a great Job. Kudos. Keep it Up. Keep up the good work. Please help the neady by continuing your marvellous work.